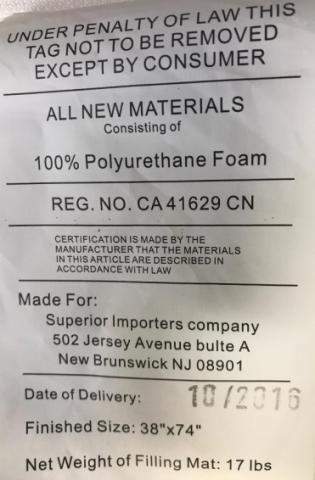 Superior Importers recalls mattresses due to the mattresses fail to meet the mandatory federal flammability standard for mattresses, posing a fire hazard. Consumers can contact Superior Importers toll-free at 833-502-2500 from 10:30 a.m. to 5:30 p.m. ET Monday through Friday, email at Superiorimporters@gmail.com or online at www.superiorimporters.com and click on Contact Us for more information. 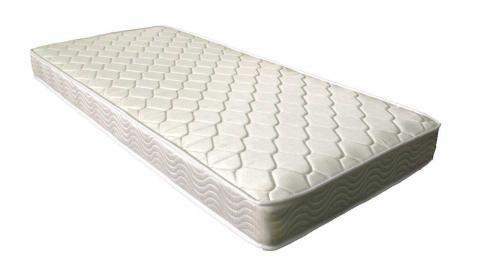 The mattresses were sold exclusively at Amazon.com from May 2016 through May 2017 for between $50 and $150.